I missed this video by Dr. Rob Plummer (Professor of Greek and New Testament at Southern Seminary) on Oct. 31, 2015, but just saw it yesterday, and thought it worth posting. It is a good reminder of the importance of the Greek word for repentance instead of the Latin, which was wrongly translated and contributed to the wrong understanding of repentance in the middle ages as "do penance", which grew into an emphasis and a focus on the external outward act or ritual that one had to do that the priest would assign, in order to gain satisfaction for full forgiveness. Dr. Plummer's videos of "The Daily Dose of Greek" are very good for reminders; and helping those of us who had NT Greek in seminary, but have become rusty by not being in it so much every day. I was keeping up with this in 1 John and Mark off and on pretty good until the last 3 months. Life is like that; the Lord is good to give opportunities and grace, so we can start back again in our desires for good disciplines. The quote that Dr. Plummer cites from Luther about the importance of the original languages - I remember reading that somewhere. Dr. Plummer does not cite the source, but I found some references to it in John Piper's book, The Legacy of Sovereign Joy, (about Augustine, Luther, and Calvin), on page 97, (which I highly recommend), and he cites that as coming from W. Carlos Martyn, The Life and Times of Martin Luther, 1866, pp. 474-475. (It is a slightly different translation from the one that Dr. Plummer cites.) Maybe James Swan has cited this before or done an article on this before; I did not search a lot, but some, and could not find it here. I found the 1866 W. Carlos Martyn book The Life and Times of Martin Luther, here. A Biblical explanation of John 3:5 and Titus 3:5 by Stephen C. Halbrook (see brief bio at bottom; and for more, under "about" at his blog.) Note: Some of the videos and links that he links to are no longer there. I had linked to this blog article before, but after reading it again, I noticed afresh that the explanation of John 3:5 and Titus 3:5 is excellent and thorough and probably the best I have ever read. The article covers other verses that other groups use to defend baptismal regeneration, but I wanted to just focus on John 3:5 and Titus 3:5 here. B. Verses 6-8 rule out water baptism by emphasizing only the Holy Spirit. Sam Storms writes (this is not an endorsement of Storms himself, as we disagree with some of his theology). My name is Steve C. Halbrook, and I am Reformed in my theology. I regularly study theology, and have an M.A. in Government from Regent University. In 1883, Sister Maria Serafina Micheli (1849-1911) was beatified in Faicchio in the province of Benevento in the diocese of Cerreto Sannita 28 May 2011, the foundress of the Sisters of the Angels, was going to Eisleben, Saxony, the birthplace of Luther. The fourth centenary of the birth of the great heretic (10 November 1483) was celebrated on that day. Luther divided Europe and the Church deux.Les streets were crowded, balconies included. Among the many personalities were expected at any time, with the arrival of Emperor Wilhelm I, who presided over the solemn celebrations. The future Blessed, noting the great hoopla was not interested in knowing the reason for this unusual animation, his only desire was to find a church and pray to be able to make a visit to the Blessed Sacrament. After walking for a while, she finally found one, but the doors were closed. She knelt on the steps for Serenity Prayer. As it was in the evening, she had not noticed that it was not a Catholic church, but Protestant. While praying, the angel appeared, who said to him. "Arise, because it is a Protestant church"
Then he added: "But I want you to see where Martin Luther was condemned and the pain he suffered as a punishment for his pride." After these words, she saw a terrible abyss of fire, where they were cruelly tortured countless souls. In the bottom of this hole there was a man, Martin Luther, which differed from the other: it was surrounded by demons that forced him to kneel, and all armed with hammers, they tried in vain , to shove a big nail in the head. Religious thought, if some of the people had seen this dramatic scene, they would not have made honors and other commemorations and celebrations for such a character. Later, when the opportunity arose to remind his sisters live in humility and in secret. She was convinced that Martin Luther was punished in hell especially for the first deadly sin of pride. Pride is a deadly sin, brought him open rebellion against the Roman Catholic Church. His behavior, his attitude towards the Church, and his preaching were crucial to encourage and bring many souls to eternal ruin and wrong. Born in 1849, died March 24, 1911 at Faicchio, Italy, declared Venerable on July 3, 2009 by Pope Benedict XVI beatified on May 28, 2011. A Montage of scenes from the 2003 Movie, Luther, starring Joseph Fiennes as Martin Luther. The Montage begins with the 95 theses in 1517, and goes to the famous speech at the trial of the Diet of Worms in 1521, and ends with text about Luther's life after the Augsburg Confession of 1530. "Luther's Reformation Breakthrough" - lecture by Dr. Ryan Reeves of Gordon-Conwell Seminary. Professor Reeves calls it a "compression of years" as Luther looks back to recall and recounts the process of working through the "pinching", struggle/anxiety/depression/fear/anger/guilt in his soul (The "Anfechtungen") , to the "tower experience" and prayerful study of the books of Romans and Galatians. Analysis of the 95 theses. 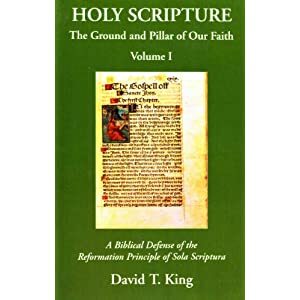 It was very interesting to me that he had already written earlier (just one month earlier in Sept. of 1517) another document of 97 theses on theological issues ("The Disputation Against Scholasticism"). I didn't know that before.